HomeDog BreedsShiloh Shepherd: A Better Version of A German Shepherd? The Shiloh Shepherd is a giant, calm, family loving companion who will wrap you around their rather large paw! They are highly intelligent, protective and easier to handle than other shepherd breeds. Think these quietly confident, sociable bears are for you? Lets have a look at where they came from and what you should generally expect from one of these gentle giants! They will be confident, but gentle, with bucket loads of intelligence! Worrisome health issues were at the forefront of trainer’s minds. Concerns that a lot of families just weren’t experienced enough to manage their temperament. 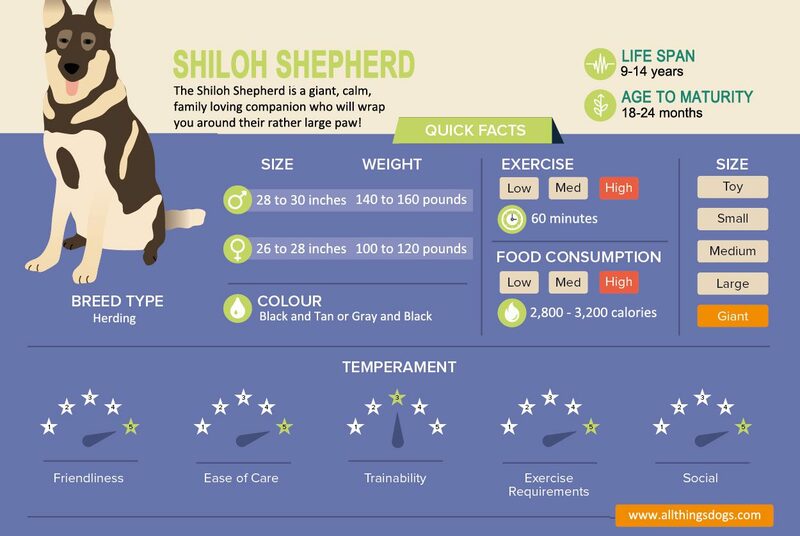 The birth of the Shiloh Shepherd created a docile but intelligent family dog. Their herding roots give them energy and intelligence to work; perfect for agility or in a search and rescue capacity. The intention for the breed was a powerful but devoted companion. Shyness or viciousness is heavily penalised in the breed standard. 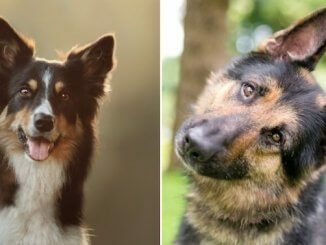 Free Guide: Download our free eBook on the Shiloh Shepherd Dog for everything you should know about the breed. You should expect a quietly confident giant with less of the health issues associated with a German Shepherd. They are also the least territorial of all the Shepherd breeds. He will be gentle with children and animals but your ultimate protector. If you are looking for a Shiloh Shepherd Puppy, litter sizes vary from 6-12 puppies and you should expect to pay anything between $1,000 – $2,000 USD per pup. 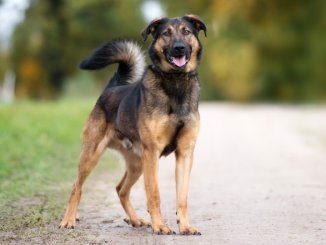 The Shiloh Shepherd is a mixed breed with German Shepherd (above), Alaskan Malamute, Canadian White Shepherd and a Czech Wolf Dog in their heritage. Go back to the mid 1970’s, Tina Barber was training German Shepherd dogs in New York. Whilst acknowledging the qualities of the tremendous breed, Tina noticed that these powerful, active dogs were just too much for most typical families to handle. She noticed the health problems suffered by the shepherds, notably hip dysplasia and she also wasn’t a fan at how their appearance was changing; the sloping back! She wanted a dog like the ones she had originally fallen in love with as a child in Germany. A healthy, family friendly shepherd. Numerous bloodlines were rejected as they didn’t possess the desired genetic qualities for a Shiloh. The foundation stock of the Shiloh Shepherd is German Shepherd. It wasn’t until 1989 that the Alaskan Malamute lines were introduced (these lines were known for their size and their good hips). Then in 2001 a Canadian White Shepherd was introduced into the lines; he was brought in again for size and for genetic diversity. The mid 2000’s saw the final introduction of a Czech Wolf-dog, again for genetic diversity. This selective breeding has been key in cherry picking qualities and ensuring good health, but there are concerns that due to the limited genetic diversity this could in fact lead to other health concerns, specifically auto-immune diseases. However, breeders do appear to manage this well. If you are looking for a breeder do your research. Ask around and join forums and speak to other breed owners. 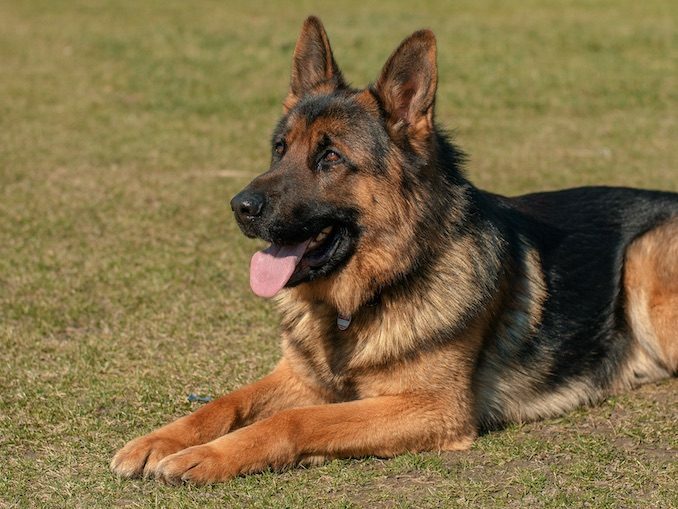 The Shiloh Shepherd isn’t currently recognised by any Kennel Club and there is currently no intention of registering with a Kennel Club as breeders want to keep a tight control on the health of the breed. The Breed Standard for the Shiloh Shepherd describes him as courageous and self confident. A gentle giant having superior intelligence wrapped in a heart of gold. He is the perfect companion and wholeheartedly loyal! However, as with any litter of puppies, there are a range of temperaments and energy levels! The International Shepherd Alliance ask all breeders to carry out puppy evaluations, classifying them from soft to hard puppies. 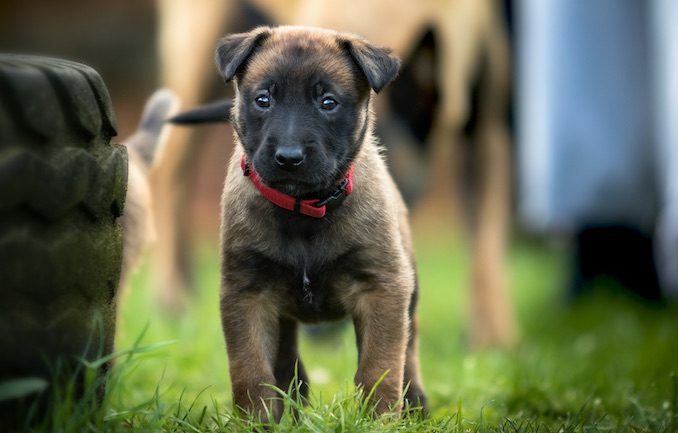 Soft Described as submissive, they are gentle, these puppies require a calmer household with a good structure and routine to ensure they don’t develop fear or anxious behaviours. Medium-soft Generally easy going, but have some of the submissive behaviours of the soft puppy. These would again suit a calmer household, if you describe yourself as a laid back person, these puppies would be perfect for you! Medium A well balance puppy, most commonly seen in litters. These puppies suit families, as they have developed the confidence to entertain themselves when it’s a busy day, but equally like being with you. Medium-hard The independent guys! They often have quite strong personalities. These are suited to owners who have owned working breeds before. Confident and independent pups require ground rules so they know what’s expected of them. Hard These are more like their German Shepherd foundations! Strong, independent and tough. These suit owners who have owned herding breeds before and enjoy working with intense personalities. These puppies are rare, as these qualities weren’t the intention for the Shiloh breed. As with any dog, these temperaments can change due to their environment and experiences, but they do give you a good place to start. Whilst Shiloh Shepherds are know that they are known for being docile, patient, gentle and intelligent, it mustn’t be forgotten that they still originate from herding and guardian roots. It is these qualities that allow them to get bored quickly and to dislike being left. This isn’t a dog you can leave out in the yard or one that you can skip that daily walk with. Expect barking and destruction if you do. If well cared for, they are a healthy and loving family dog. A loyal, gentle giant who fits in with most families? Let’s see what you’re letting yourself in for with his daily care requirements. Puppies are fed based on their expected weight – not their actual weight. Most food manufacturers will state how much you should be feeding your puppy. On average, large dogs require approximately 20 calories per pound of body weight. When feeding your puppy, it is typical to split their feeds into 4 meals a day. This is to ensure you don’t overstretch their stomach. 6 months onwards and this can be reduced to 2 meals a day. Most adult dogs remain with 2 meals a day. 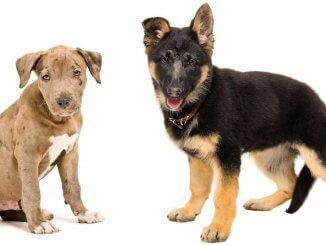 When your dog is fully grown, you should be feeding based on the ideal weight of your particular breed. So if your dog is 150 pounds, he should be consuming between 2,800 to 3,200 calories a day (150*20). A fully grown male will typically consume 8 cups of high quality kibble which should be formulated for large-breeds to reach their calorie intake. In order to check you are feeding your Shiloh Shepherd the right amount, you can visibly check his weight. You should be able to see a waistline, feel the ribs and, from a birds eye view, your dog should have an hourglass outline. If you have any concerns with feeding or whether your dog is the correct weight, you should speak with your veterinarian. As we’ve said, you can’t skip that daily walk with Shiloh Shepherds. Due to their herding foundations, and German Shepherd parents, they have a high energy drive. Expect to walk daily for approximately 60 minutes. Their herding instincts make them excellent partners in the agility arena; so once they have reached full maturity (18 months to 2 years old) this is also something you can do to keep them physically and mentally occupied. As the Shiloh Shepherd is a giant breed you must be careful to not overwalk them during the most important stages of skeletal development. During the first 12 months of development, your puppy will be very sensitive to physical injuries. Excessive exercise during this phase can be detrimental to their physical development. Remember the five minute rule. The total distance a puppy should walk should be five minutes per month of their age. So if your puppy is six months old they can walk for a maximum of 30 minutes (6*5). They have the ability to be trained into a well disciplined service dog or a loving and loyal family pet. Shiloh’s have been trained as incredible search and rescue dogs, take the time Gandalf picked up the scent of a boy who had wandered off from his camping trip, lost for 4 days! These incredible stories wouldn’t be written if it wasn’t for their training. As with any dog, this is essential in raising a well-rounded, balanced dog. Early socialisation is key! We know that well socialised puppies are less likely to exhibit problematic adult behaviours, stemming out of fear or anxiety. In a safe environment, introduce your Shiloh Shepherd to everything the world has on offer! Start with People (Short, tall, children, those wearing hats, those wearing hoodies), Household appliances (The vacuum, the dishwasher, the electric garage door) and allow them to meet other dogs, of all breeds and sizes. Watch for their body language to avoid any potential disasters though! When your Shepherd is behaving how you expect him to, reward him! Consistency is key. Also consider the type of puppy you have from their puppy evaluations. As we have mentioned, some puppies may need more structure than others. Some may be more laid back. You will still need eyes in the back of your head though. 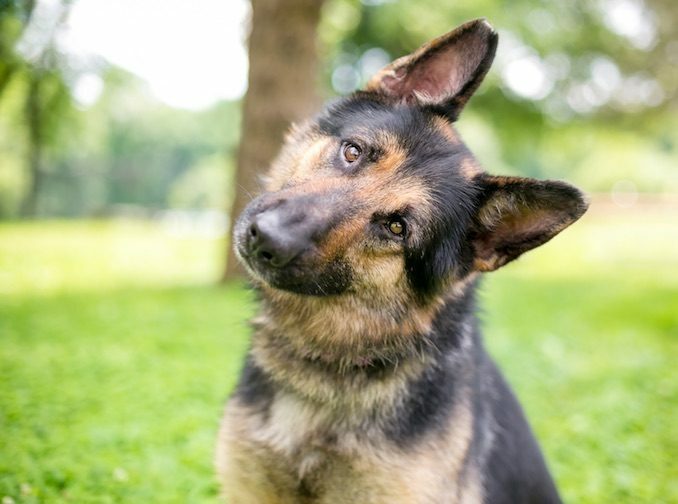 It is worth being aware of the common health issues with the Shiloh Shepherd, firstly so you know the potential cost if your pooch is unfortunate to suffer with any of them, but also to understand the associated symptoms to watch out for. Hip Dysplasia – this is prevalent in the German Shepherd breed so it stands to reason that it may become an issue. This is where your dog’s hips weaken over a period of time and become arthritic. The severity can vary and when severe can disable your dog. Gastric Torsion – also known as Bloat. Again, more prevalent in large breeds. This is where the stomach twists and fills with gas. It can be fatal. Degenerative myelopathy – this is a slowly progressing spinal cord disorder. Exocrine pancreatic insufficiency – this is the inability to properly digest food as the pancreas isn’t producing enough digestive enzymes. Ventricular arrhythmias – causing the heart to beat too fast and can result in cardiac arrest. Panosteitis in young dogs – this is when the bones of young dogs become inflamed causing lameness. This is a common condition in large breeds due to their rapid growth. It occurs spontaneously and lasts for as long as the dog is growing. Unfortunately, we do know that despite the intention to out-breed certain health issues, there are a number of health concerns prevalent with the Shiloh. Expect to brush your pup a few times a week, this helps prevent the undercoat from becoming impacted and matted. Although the Shiloh Shepherd looks very similar to a German Shepherd, they are larger and have straighter backs, all thanks to their selective breeding. They come in a a variety of colours and can be solid or dual coloured. They are most commonly black and tan or grey and black but they are also found in golden tan, reddish tan, silver, sable, red brown, dark grey or black. You will find them with one of two coat types. A smooth coated dog with a shorter dense coat, whereas a plush coated Shiloh has a longer, softer coat. A plush coated dog will appear to have a mane and also some feathering on their legs and in between their toes! You may see some bred with a lighter coloured blaze on their chest. Their head should be domed and broad, with their ears standing pointed to attention. Their muzzle should be black, along with their lips. A male should stand between 28-30″ high and weigh between 140-160 pounds. A female should stand between 26-28″ high and weigh between 100-120 pounds. You will need to spend time, weekly, grooming these gentle giants. The smooth coat is a double, medium length coat. The outer coat is dense but straight, and lies close to the body. The plush coat is longer in length, it has course guard hairs with a softer undercoat. The plush coat sheds less but requires more grooming. Double coated breeds tend to have two main “blow outs” (where they shed most of their hair) per year. But for anyone who has owned a double coated breed before, we all know that they spend most of their life losing hair, so invest in a good vacuum! When the undercoat of a double coated breed becomes impacted, air no longer circulates which can contribute to over heating in dogs. Check his ears, eyes and teeth regularly for any change. Ensure they are kept clean. Whilst we’re on the subject of regularly checking him over, ensure he attends his annual health examination with the veterinarian and follow the recommended vaccination schedule. A healthy, loving, family dog is exactly what most Shiloh Shepherds have become. They are gentle giants, docile and patient. Their herding foundation gives them an energy drive to hike up mountains and the partner capability in an agility ring. Their guarding origin makes them a loyal protector, serving search and rescue teams well. An intelligent companion, needing early socialisation and consistent training. They will not suffer being away from you or being bored. Despite the best intentions to out breed health issues, some are still prevalent, but it does appear that breeders are working hard to manage this. Ensure his needs are met and he will be your faithful comrade! Having read our guide above, are you now tempted to own a Shiloh Shepherd? It would be great to hear from you in the comments below. This is the best , most comprehensive description of our Shiloh puppy. I truly appreciate your writings . Great article, very helpful. Unfortunately I live in the Uk and can’t find a UK breeder. Can anyone help please? I’m glad you enjoyed the article! I’m not aware of any specific breeders who I would recommend in the UK. However, I have shared your comment so hopefully someone can share their recommendations with you. I have had several Shilohs and they are truly the perfect dogs. Mine are my babies, so spoiled. Unfortunately you’re correct, most breeders are in the US, since that’s where Shilohs originated. I believe there are a couple breeders in Europe (I think the Scandanavian area, but don’t quote me on that). Research some breeders, and really do your research! People will sell fake “Shilohs” that have serious health problems even as puppies so be aware! When you find a reputable breeder you like, just reach out to them, we’re a small community and most breeders know each other across the US, and we LOVE talking about our pups! So don’t be shy to strike up a conversation. The best thing to do if you decide to get a Shiloh is fly to the breeder and pick up your puppy in person, then fly back with the puppy while they’re still small enough to make the in cabin plane standards. I normally don’t endorse flying pets, but that’s the safest way to go about it. Flying a puppy in cargo is never safe! If the cost of this is giving you pause, you may want to consider a different breed. These pups are expensive from initial purchase (mine were $1850), to high quality food, and vet bills. Take this into consideration as well. Be warned, if you get a Shiloh they will have you wrapped around their little paws at first sight and you’ll be a Shiloh mama for life! You’ll start to notice people get their own packs of Shilohs. They’re kind of like potato chips, I bet you can’t have just one ?. 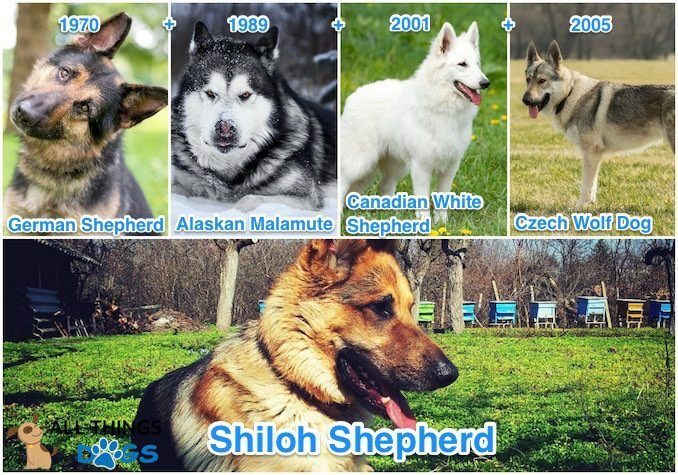 Also, there’s a FB group called Shiloh shepherd owners, I don’t know if they accept no-owners but you could message them and see if they have any ideas as well, many people on this group are Shiloh breeders so they could give you great feedback. I hope this helped, good luck!